When your car refuses to go into gear, for example, if your car has an automatic transmission, you may feel a delay before you actually feel the gear engage. When you hear a sound like a clunking, whining, or humming, it is most likely an issue with your automatic or manual transmission. If you hear noises such as these, you should call us immediately. If you find a leak from your car on the driveway, and it appears bright red in color and smells sweet, then things are working correctly and all you need it to fix a hole. If you feel the car shaking, or you hear some grinding noise coming out of the hood, it is probably a transmission problem that needs to be repaired. When transmission fluid overheats, it creates a burning smell, meaning that automotive and/or transmission repair services are needed immediately. Most time, the check engine light is an indicator of possible transmission problems. When you see this light, come to and auto shop or AMS Jet Transmissions right away. 1987, and our transmission mechanics have decades of combined experience. AMS Jet Transmissions is located right off of State Road 7 & Griffin Road, in the heart of Davie. We love servicing our local area with transmission repair Davie FL services, and we feel like we were born to perform them. From transmission fluid change to replacing the whole transmission, we love what we do. Our specialty and passion is car transmissions, and we would not have it any other way. When you bring your car into AMS Jet Transmissions, we will treat you like a friend or family member, even if you are a complete stranger. We promise that in our transmission shop, we will fix your car transmission within no time. As transmission professionals, we take our job very seriously, and if we cannot honor our promise for prompt servicing, then we are not happy. Our services are the fastest in the industry. Not only will we do some of the best mechanic work in South Florida, but you will be back on the road as soon as you walk in the door! We are not one of those mechanics who hide behind the thin veil of information when it comes to your car. We keep you informed, up-to-date and educated on the status of your vehicle. Not only are we efficient and honest, but we offer fair pricing. You will always know the cost of the services up front and we will never gouge any prices out of you or your vehicle. Looking for an auto shop that provides transmission repair Davie FL services? You have come to the right place. AMS Jet Transmissions is an auto repair shop that offers transmission repair, transmission rebuilds, and all other transmission services including transmission flush. So why choose AMS Jet Transmissions to take care of all your transmission repair needs? We are a fully licensed and insured auto repair shop specializing in transmission repair. We have been servicing the Broward County Area since 1987. AMS Jet Transmissions is an auto repair shop that is a member of ATRA, ATSG, and our employees are ASE certified. 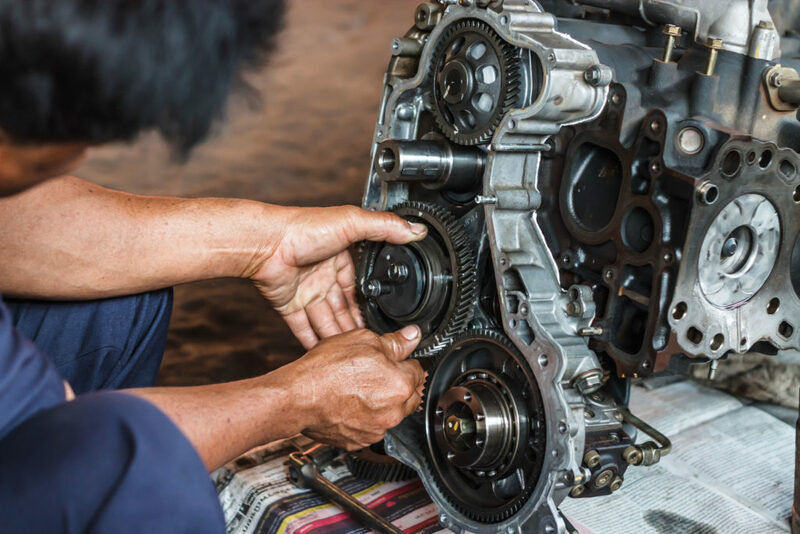 If you have transmission problems your transmission is not performing at optimal levels, AMS Jet Transmission Automotive Shop is there to help. We specialize in transmission repair, so you know that we are experts when it comes to transmission problems. There are many problems that your transmission can give you; we can fix all of them. Transmission repair is necessary when your transmission is lacking in response, humming, leaking, grinding, smells burnt, refusing to go into gear, slipping gears, or the transmission is just too noisy in neutral. As an auto repair shop and more specifically a transmission repair shop, we believe that a transmission flush is absolutely crucial to the longevity of your transmission. People do not usually understand the importance of a transmission flush until a serious problem arises; that is the reason for the emphasis now. It is a serious preventative maintenance procedure that can help your transmission in lasting a long time, therefore not needing the transmission repair service. Please allow us at AMS Jet Transmission to give your transmission a transmission flush, you can thank us later. For all of your transmission repair needs, do not hesitate to call us at AMS Jet Transmissions. We love giving our customers exceptional service. Call us now! Jet Transmission is one of the best place to take your vehicle for transmission repair, there customer service is the greatest. There certified mechanic is well educated on all types of vehicles. If you have a situation with your automobile transmission I highly suggest you take it to Jet Transmission. I a sure you will not have any regrates. This shop was referred to me by a co-worker that had her transmission done by them. I was driving home when my transmission gave up. I called them up no later than an hour they picked it up my car and took me home AT NO CHARGE :). End result car working great. Price was very good. I even have enough to buy me some shoes 🙂 Thank you so much AMS Jet Transmission. These guys are awesome. Took my truck for a test drive with the mechanic. He talked about the few problems it could be. Truck runs great. I will take for my fluid changes even though I always do myself cause I support great businesses. Gold Coast lied to my face multi times and tried to get at least $2000 for a rebuild when I didn’t even need one. AMS Jet are great people and very smart mechanics.